Your domain name is your website’s address – like a road to your house, you need a domain name for people to easily get to your website. Everything you need to get online comes FREE with your domain! * Find your perfect domain name (or names!) and get started on your stellar new web presence with tons of free tools that come with it, or even take it up a notch with our amazing Managed WordPress website plans. Groundwork’s domain names are packed with features to help you get the most out of your domain name even if you don’t have a website yet. Domain Locking prevents accidental or intentional, malicious transfers of your domain names, and with Auto Renew Protection, your domain names (and other Groundwork products) stay safely in your name. Ready to begin your search for the perfect domain name? Even if someone’s already registered your perfect domain, you still have a chance! Already have a domain or 3? Transfer them to Groundwork and get a bounty extra features! Domain Forwarding and Masking – Direct any domain name you own to your website — anyone who types that domain name into their browser is taken directly to your website. Domain Locking – Domain locking prevents accidental or intentional transfers of domain ownership and stops anyone from redirecting your nameservers. Total DNS Control – Manage your domain nameserver (DNS) records and set your email, FTP, sub-domains and website location — all from one control panel. Change of Registration – Assign your domain name to someone else or change the contacts for your domain online anytime. Requires a fee for domains. Status Alerts – Monitor the status of your domain and get instant alerts if there’s been a change. Auto Renew Protection – No need to watch expiration dates to make sure you renew on time! Auto renew keeps your domains, hosting, website builders, and other products in your name and under your control. As soon as you register a domain with Groundwork or any other registrar, your personal information is displayed in a public directory. Hackers and spammers often use this to compile email lists and steal domains. Harsh, but true. We replace your name and contact details with our partner company’s, Domains By Proxy. No one ever sees your name, address, email or phone number but us. A domain name, like www.coolexample.com, is a lot like a street address for a house or business. Let’s use the White House as an example. The street address, 1600 Pennsylvania Avenue, is an exact location — like an IP address. You might not know the exact street address, but when you visit Washington, D.C., you can tell your cabbie that you want to visit the White House and still get there. This is how a domain name is used: It’s an easy way to reach the exact location of a website without having to remember its numeric address. A domain name consists of, at least, a top-level and a second-level domain. A top-level domain (TLD) is the part of the domain name located to the right of the dot (“.”). The most common TLDs are .com, .net, and .org. When visitors enter your domain name into a Web browser, the browser request uses your domain name to find the domain name’s associated IP address and, therefore, the website. People use domain names instead of IP addresses because it is easier to remember a name rather than a series of numbers. Nameservers are the Internet’s equivalent to phone books. A nameserver maintains a directory of domain names that match certain IP addresses (computers). The information from all the nameservers across the Internet is gathered in a central registry. Setup a website! — Check out Managed WordPress, Website Builder, or Unlimited Web Hosting to put your domain name to work. Forward it to an existing website — You can forward any domain name to any existing public-facing website on the Internet – like your Etsy store, Facebook Page or Group, or any other website. See Manually forward or mask your domain or subdomain for more information. Protect your brand online — The more domain names you register, the better. Preventing others from registering a similar domain name to yours hinders them stealing your customers or confusing them. What can you do with all these domain names? Forward them to your main domain name’s website. See Manually forward or mask your domain or subdomain for more information. Hold on to it — Maybe you haven’t decided what to do with your new domain name. Don’t worry — there’s no rush. You can leave it parked with us for the length of your registration. Can I register more than one domain name? If you’re thinking about registering more than one domain name, you’ve got the right idea. Registering and using multiple domains names is great for building your business, protecting your brand name, and creating a dynamic online identity. 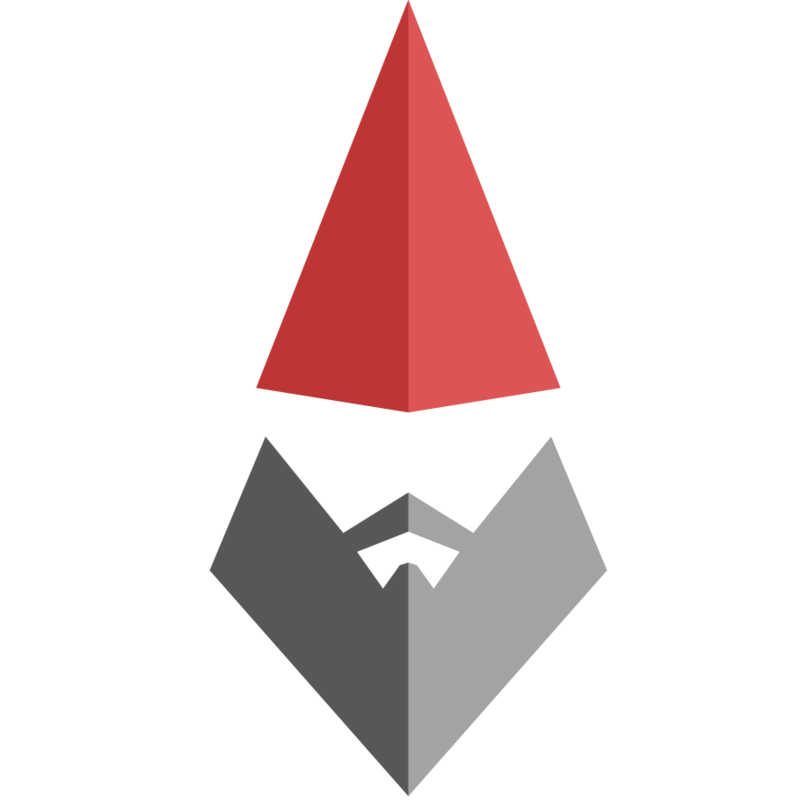 Get instant answers and browse FAQs at our Help Center, or call our Tech Support and Sales gnomes anytime! Score occasional love notes from the Gnomes! .XYZ Promotion: For Every Website. Everywhere.